Project managers tend to believe their cost estimates - whether they have exceeded budgets in the past or not. It is dangerous to accept the engineering cost estimates, which are often optimistic or unrealistic. Though cost estimates incorporate contingency reserves below-the-line, these estimates of reserves often do not benefit from a rigorous assessment of risk to project costs. Risks to cost come from multiple sources including uncertain project duration, which is often ignored in cost risk analyses. In short, experience shows that cost estimating on projects is rarely successful - cost overruns routinely occur. There are effective ways to estimate the impact on the cost of complex projects from project risks of all types, including traditional cost-type risks and the indirect but often substantial impact from risks usually thought of as affecting project schedules. Integrated cost-schedule risk anlaysis helps us determine how likely the project will go over budget with the current plan, how much contingency reserve is required to achieve a desired level of certainty, and which risks are most important so the project manager can mitigate them and achieve a better result. 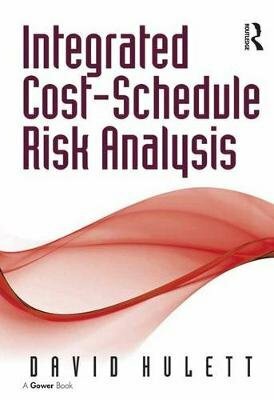 Integrated Cost-Schedule Risk Analysis provides solutions for these and other challenges. This book follows on from David Hulett's highly-praised Practical Schedule Risk Analysis. It focuses on the way that schedule risk can generate cost risk, and how to handle this relationship. It also applies the Risk Driver Method to the analysis so that you can clearly and transparently identify the key risks, rather than just the most risky cost line items. With detailed worked examples and over 70 illustrations, Integrated Cost-Schedule Risk Analysis offers the definitive guide to this critically important aspect of project management from surely the world's leading commentator.